Nothing heralds the approach of autumn like blackberries. As a child we picked them by the ice-cream tub full from the Cornish hedgerows. They were so bountiful that we scarcely knew when to stop, returning home with stained hands and scratches all over. My grandmother would turn the plump berries into generous crumbles, mixed with windfall apples, which is precisely what I intend to do. 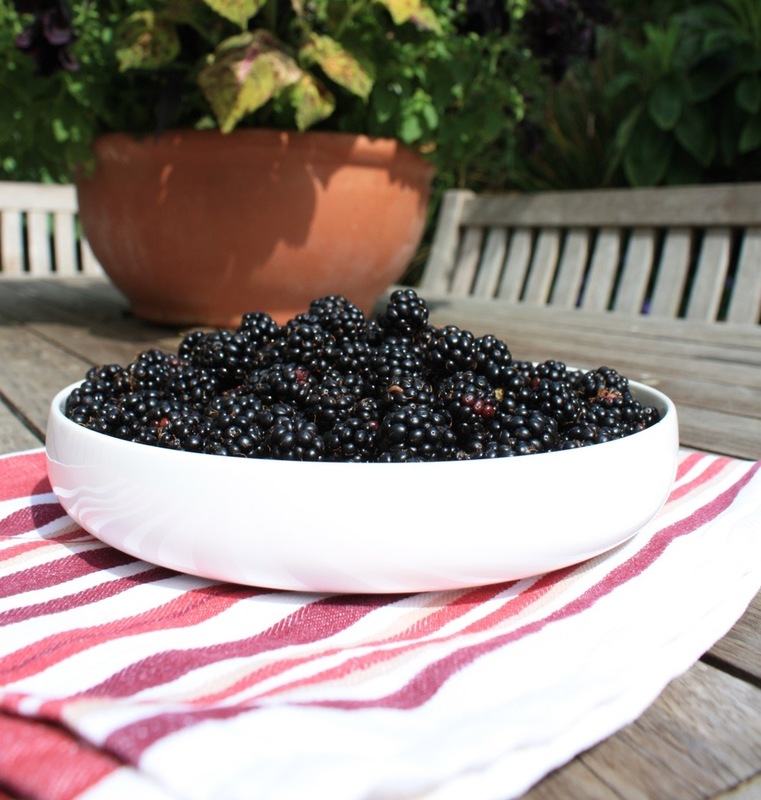 Blackberries (the wild kind) are fickle plants – the spots along the clifftop that fruited well last year are covered in mean little berries, whilst other bushes are abundant. The quality was not A1, but who’s bothered once they’re cooked down into a sweet purple stew. For once I went prepared, wearing an old t-shirt and with lidded plastic boxes for my foraging. The bare arms and legs were not so great for clambering in to get the best berries (why are they always about 6 inches too far away?) but I came home with a tub and a half of juicy fruit. They are now combined with apples and raspberries, cooling on the stove top. I’ll freeze the mixture ready for the winter, when it will remind us of warm sunny days like these.